Below is an acceptance letter from the City of Sunrise Personnel Department in the state of Florida. 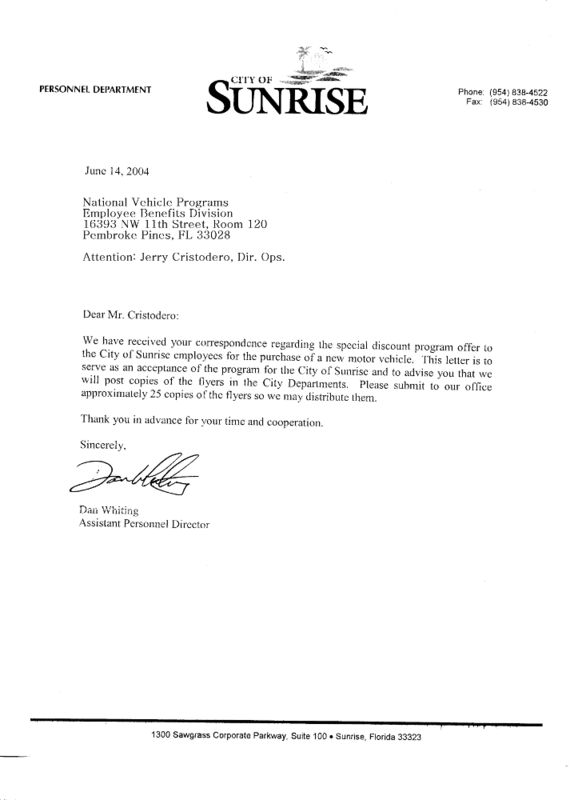 We have received your correspondence regarding the special discount program offer to the City of Sunrise employees for the purchase of a new motor vehicle. 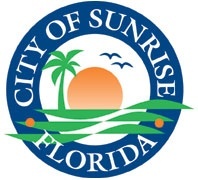 This letter is to serve as an acceptance of the program from the City of Sunrise and to advise you we will post copies of the flyers in the city departments. Please submit to our office approximately 25 copies of the flyers so we may distribute them.